Hi all, Belita here. First congratulations to Heidi on a fantastic header shot. Mitch asked if I would host this week's challenge and I gladly accepted. My choice of theme is 'Letters and/or Numbers'. So here are the shots I selected to get you started. Top of the triumphal arch-like (Lisbon downtown), built to commemorate the city's reconstruction after the 1755 earthquake. Glory stands some feet high and holds laurels over Valor and Genius. 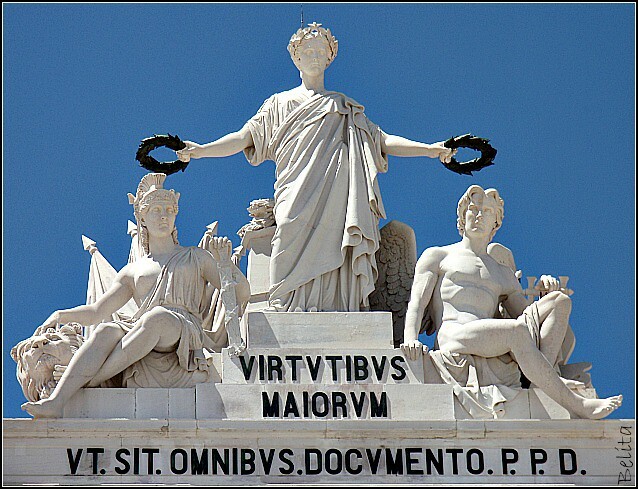 The inscription reads: VIRTUTIBUS MAIORUM UT SIT OMNIBUS DOCUMENTO. P.P.D." It may mean "To the virtues of the greater ones (i.e. our ancestors) who taught us everything." P.P.D. is a standard abbreviation for Pecuinia Posuit Dedicavit, or "paid for at public expense." Hi, Belita! 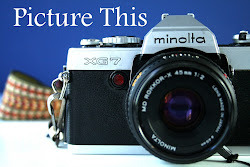 Wonderful theme and wonderful pictures! 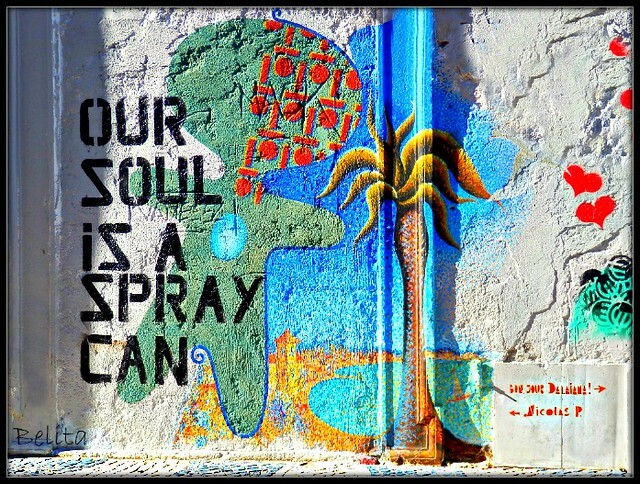 I know many people do not like graffiti, but the graffiti in your first picture is so artful. The person or persons who did the artwork did a wonderful job, as did you to photograph it. Magnificent statue at the top; a fitting tribute to those who reconstruction. Lovely trees at Cafe Camelot and the other details make the picture. Love the bike. Very colorful clocks at the flea market; I might buy one just to tinker. Hi Belita!! Many thanks for hosting this week, great theme you have chosen. I really like the first shot, the graffitti is so colourful and artistic. The monument in the second shot is very imposing. Amusing sign for the Camelot Cafe. 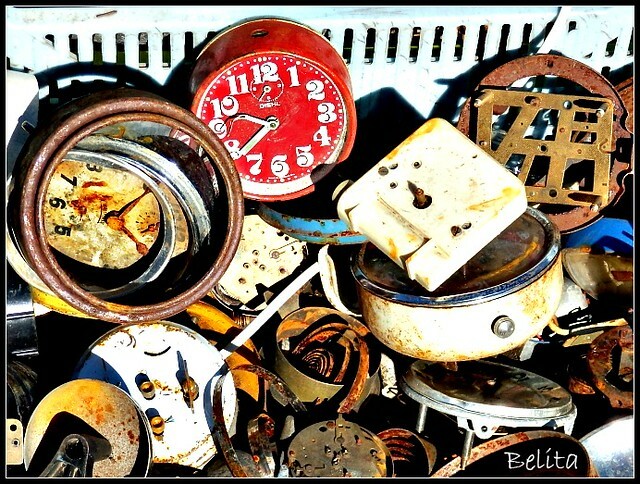 The final shot made me think.....I wonder if anyone would actually buy such rusty old pieces of clocks? Awesome!!!!! Four fabulous captures for the theme, they would all look fantastic on a wall. Wonderful lanterns and little trees. Love the words on the first photo. The second is very interesting, who knows what it means. 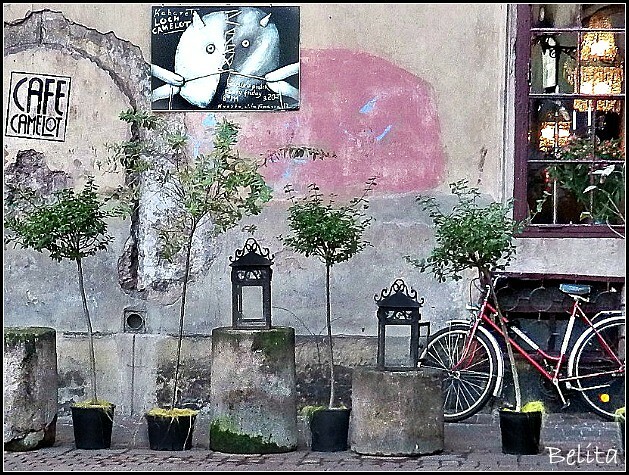 Good photo of the wall in Krakow and I love the alarm clocks in the last picture.